VMware’s second-quarter profit and revenue has beat analysts' estimates, helped by strong demand for its cloud-based software services. The company's services revenue, which accounts for majority of its total revenue, rose about 11 per cent to US$1.27 billion in the second quarter, in line with estimates. “Q2 was another strong quarter as we continue to see good momentum across our product and services portfolio in every region,” said Pat Gelsinger, CEO of VMware. Last month, Dell Technologies said it would pay US$21.7 billion in cash and stock to buy back shares tied to its interest in VMware, returning the computer maker to the stock market without an initial public offering. 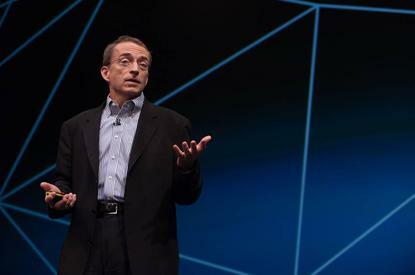 VMware's net income rose 58.6 per cent to US$644 million, or $1.56 per share, in the second quarter ended 3 August. Excluding one-time items, the Palo Alto, California-based company earned $1.54 per share while total revenue rose 12.5 per cent to US$2.17 billion. Analysts on average had expected a profit of $1.49 per share and revenue of US$2.14 billion, according to Thomson Reuters. “Our results in Q2 were driven by successful execution of our strategy and strong operational performance across the business,” said Zane Rowe, executive vice president and CFO at VMware. The company's shares, which were up more than 23 per cent this year, fell nearly three per cent to US$150.4 after the bell.